The magnificent stone monument variously referred to as the Monument of Sacred War, the Teocalli of Sacred War, the Temple Stone or, more simply, the throne of Motecuhzoma II (Montezuma), the Aztec king (tlatoani) who ruled at the time of the Spanish conquest, is covered with relief carvings of symbols, gods and Motecuhzoma himself. The throne, carved in the shape of a pyramid temple, commemorates the New Fire Ceremony of 1507 CE and, through art, demonstrates the inseparable link between fire and water and between this world's rulers and the eternal cosmos. It is one of the masterpieces of Aztec art and can be admired in its permanent home in the National Museum of Anthropology in Mexico City. Discovered in 1831CE near the palace of Motecuhzoma II under what is now Mexico City, the throne was carved in 1507 CE from volcanic stone and measures 1.23 metres in height and around 1 metre in both depth and width.The object as a whole celebrates the triumph of the sun and the top is inscribed with the year 2 House which translates as 1345 CE, regarded as the traditional founding date of the Aztec capital Tenochtitlan. The throne appears in the form of a typical Aztec stepped pyramid with the back representing the sacred temple which stood at the top of such monuments. The stone may, in fact, be considered as a votive commemorative or teocalli (meaning 'house of god') of sacred warfare and the New Fire Ceremony (Toxiuhmolpilia). This ritual, held only once every 52 years on the completion of the full Aztec calendar cycle, was perhaps the single most important event in Aztec religion and life in general. The throne appears in the form of a typical Aztec stepped pyramid with the back representing a sacred temple. Presided over by the Xiuhtechutli, the god of fire, the purpose of the ceremony was to ensure the successful renewal (or re-occurrence) of the sun. Atop Mt. Uixachtecatl (or Citlaltepec), near the Aztec capital of Tenochtitlán, priests gathered at midnight and awaited a precise alignment of the stars. Then a sacrifice was made to Xiuhtecuhtli by cutting out the heart of a sacrificial victim. Fire was then kindled inside the open chest cavity and if the fire lit successfully all was well. If the flame did not light then it was believed to signal the coming of terrible monsters, the Tzitzimime, who would roam the darkness eating all mankind. 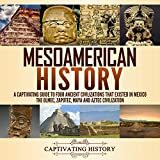 With the unthinkable possibility that the sun might not actually reappear, every ceremony was a crucial moment in Aztec society, but perhaps the one of 1507 CE was more significant than most. The Aztec empire had suffered several misfortunes leading up to the event, notably a devastating famine and destructive snowstorms, so that a new cycle and a fresh start was just what Motecuhzoma needed. Ultimately, the sun did appear again to welcome in another 52 years of cosmic harmony but, in reality, it was only 14 years later that strangers from the west would bring about the cataclysmic collapse of the Aztec civilization. The twelve steps which approach the seat are flanked by an image of a rabbit on the left signifying the calendar date 1 whilst on the right side reeds represent the date 2. It has been suggested by scholars that these dates represent either the first and last years of the 52-year cycle or the years in which this particular New Fire Ceremony crossed over. Above these symbols, again, one on either side, are representations of cuauhxicalli - the vessels used to hold offerings such as the hearts of sacrificial victims during religious ceremonies. The one on the left has markings indicating a jaguar skin and the one on the right has eagle feathers. The back of the seat of the throne carries a large sun disk on which are indicated the cardinal and inter-cardinal points, a common motif in Aztec art. On the left of the sun disk stands the figure of Huitzilopochtli, the god of war and the sun, wearing his usual hummingbird headdress and with his left foot in the shape of a fire serpent whilst on the right stands Motecuhzoma II performing a sacrifice to the god. The seat of the throne has a relief of the earth monster Tlaltecuhtli of Aztec mythology. Therefore, when Motecuhzoma sat on the throne, he was in contact with both the earth and sun, and so was fulfilling his role as sacred guardian of both, separating them with his person and preventing the sun from collapsing onto the earth. The large eagle on the back of the throne reminds of the legend of the founding of Tenochtitlán when Huitzilopochtli indicated the correct site with an eagle sitting on a cactus. The figures are the Aztec people who offer their hearts in sacrifice and homage to their gods and ruler. At the sides of the stone seated gods, each with a tetl or stone symbol on their backs, self-sacrifice blood from their loins, a typical ritual of Aztec religion. The four deities represented are Tlaloc (god of rain), Tlahuizcalpantecuhtli (Dawn), Xiuhtecuhtli (god of fire), and Xochipilli (god of flowers, summer and music). There are also marked the dates 1 Flint and 1 Death and a smoking mirror to represent Tezcatlipoca, the god of destiny. These scenes, therefore, combine with the other relief carvings on all sides of the stone to give compelling testimony of the divine favour enjoyed by Motecuhzoma's reign. Cartwright, Mark. "Throne of Montezuma." Ancient History Encyclopedia. Last modified January 24, 2014. https://www.ancient.eu/article/648/. Cartwright, Mark. "Throne of Montezuma." Ancient History Encyclopedia. Ancient History Encyclopedia, 24 Jan 2014. Web. 20 Apr 2019. Submitted by Mark Cartwright, published on 24 January 2014 under the following license: Creative Commons: Attribution-NonCommercial-ShareAlike. This license lets others remix, tweak, and build upon this content non-commercially, as long as they credit the author and license their new creations under the identical terms. Please note that content linked from this page may have different licensing terms.